20 years ago this Spring, Mike Wargotz and I decided to launch Axcess Luxury & Lifestyle together, now Axcess Worldwide. I am truly proud of our company’s accomplishments over the years. We are among the world’s premiere partnership and business development companies. Our capabilities are unique and our relationships are vast, long term and trusted. We both protect and disrupt to enhance the luster of heritage brands, and drive the emergence of tomorrow’s power house brands. 20 years of creating extraordinary events, experiences and partnerships that deliver measurable results and value creation. We have been humbled by the opportunity to work with such extraordinary individuals and brands for the past two decades. The current Axcess family along with all past employees are forever enriched and we are truly thankful! We are pleased to announce the opening of our new offices in Union Square. We hope you will have the opportunity to come visit us when you are in town! We are honored to add these wonderful companies to our family of brands. Click on the logos for more information and stay tuned in the weeks ahead as we determine how to best collaborate and explore what could be together! We are thrilled to announce that in its seventh year, the AXW-produced annual Sentient Jet Cardholder Benefits Guide dropped to its 6,000+ Cardholders last month and continues to raise the bar in the industry’s member benefits. Referred to as “private aviation’s version of the Neiman Marcus holiday catalog,” Sentient’s Benefits Guide includes over 30 exclusive opportunities and offers for Cardholders to take advantage of, with a value totaling over $165,000. New partners added to this year’s guide include Rosewood Baha Mar, The Private Suite, Panerai, Ship Sticks & Ship Skis, Tata Harper, Peter Millar, David Webb, Porthos Wine and more. Luxury wine purveyor Bespoke Collection teamed up with the CORE: Club in New York City to present a specially curated dinner for wine-lovers. Bespoke Collection and Paul Leary, President of Blackbird Vineyards, brought CORE: members on a journey of unforgettable wine and art experiences customized to personal tastes. We are proud to announce that in our first year we launched in 400 locations in the U.S. and is featured/sold on FreshDirect. We sold over 100,000 pounds of product in Q4! The team has worked tirelessly to prove the thesis that the time is NOW for delicious, craft, premium, chef-driven, ready-to-cook, truly healthy, year-round turkey products. The Great American Turkey Co. is an innovative line of craft, artisanal turkey-based products created to provide a new source of epically delicious, awesomely easy and honestly good protein. The brand’s suite of products includes turkey steaks, cutlets, strips, sausages, bratwurst and hot dogs- all developed by our James Beard Award-winning chefs and “Hall of Famers” for the highest quality flavor. We only utilize turkeys that are humanely raised on family-owned American farms, without antibiotics, preservatives or added hormones ever. Produced with a commitment to whole carcass utilization to reduce food waste and to help our farmers. Additional information can be found on our website. Follow us on Instagram @greatamericanturkeyco. The Great American Turkey Co. products are available on FreshDirect, The Fresh Market, Tops, and select Price Chopper & Market 32 Supermarkets. 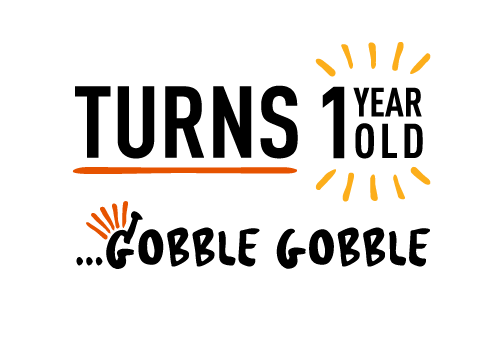 Sign up HERE to be one of the first to purchase our delicious products directly from The Great American Turkey Co. website, which will be available early April. Flexport, a software-focused freight forwarder that helps businesses transport their goods to their point of sale, announced a $1 billion funding round led by SoftBank’s Vision Fund, with existing investors Founders Fund, DST Global, Cherubic Ventures, Susa Ventures and SF Express all participating. The investment, an all-primary transaction (meaning early investors weren’t selling their shares), values the San Francisco-based company at $3.2 billion, according to a source with knowledge of its terms. Axcess was an early stage investor in Flexport. Congratulations to our family members Ryan Petersen (Founder & CEO), Ben Braverman (Chief Revenue Officer) and his outstanding team on this exciting announcement and milestone. Lin-Manuel Miranda recently reprised his role of founding father Alexander Hamilton in the hit Broadway Musical Hamilton for a limited run of 24 shows at the University of Puerto Rico in San Juan. The performances were a fund-raiser for the launch of the Flamboyan Arts Fund, which was created by Miranda, his family, and the producers of Hamilton, in partnership with the Flamboyan Foundation, to nurture the island’s vibrant arts and culture during the rebuilding following Hurricane Maria. ESPN & ESPN+ TO BECOME EXCLUSIVE MEDIA HOME OF THE PROFESSIONAL FIGHTERS LEAGUE IN U.S.